Tears streamed down my face as I came to grips of what my life had seemingly become. I took stock of reality and quietly let go of my dreams as I wondered, how can God use a broken woman, a mom of three kids who works part time at a retail store, who has a little blog in big wide world of the internet, who doesn’t know God wants anymore, who can’t dig her way out of this pit? Like me, his disciples could only see a great need against what they had to offer with “Seven loaves and a few small fish,” on the scale of need for four thousand men among women and children. But here is what catches my breath, Jesus took the small amount of food lifting it up to the father in thankfulness before breaking it. “Afterward the disciples picked up seven basketfuls and broken pieces that were left over.” Matthew 15:37. Jesus created beauty in the breaking as he multiplied the scant offering of a seven loaves and a few small fish. Do you feel small and insignificant under the weight of the needs in your life? As mothers we carry the burden and weight of raising Godly kids. We groan with anxiety and worry against the needs our children have through choices they make, the need of instilling God’s word against the pull of the world. As women, we feel the ache of being created for a purpose and fall to our knees under the weight where God has placed us. We take stock of our gifts, dreams, abilities, circumstances and burdens; weighing it against our situation–only to give up because we think God can’t possibly have a purpose for us. We look within knowing there are places so crushed and fragmented within us, we fear our splintered reality keeps God from wanting us. Little mama, I’m standing in the trenches with you. I’m hugging you and wiping your sweet tears with my hands while I cup your chin to hold your attention. I want you to hear me so clearly that this moment will resonate in your soul forever as a focal point–the moment when you stand on His promises and run straight for him. Because he is ready–waiting. God wants you, His Son is interceding for you. As you offer your life, your gifts, your dreams–even your brokenness, Jesus takes it and turns from your sweet face to our Father God. He lifts up your brokenness and whispers His gratitude. He thanks God for your life. He whispers thankfuls over your offering. God sees that it is good as He multiplies your abilities, gifts, talents, and dreams for His purpose. You and I don’t need to know or understand how He is going to use it, we only need to know one thing: He WANTS TO USE IT. He wants US to be a part of HIS STORY. And this sweet mama is the taste of God’s glory, his victory reflecting in your life as you surrender all…because you surrender to a God who surrendered everything for us. The most beautiful part – you and I become whole as God uses our brokenness, pouring out our offerings for his glory. We make the beautiful exchange. Can we talk about internet safety? Just last week my son was playing a game on my tablet before hopping onto the Youtube app to search for his favorite song, Gangham Style. Even though the filter on my tablet was set to strict, I had to explain some offensive material to him which led to a concussion of always, ALWAYS asking a parent before hoping from one game or app to the next. The internet isn’t a bad thing but just like any other toy or activity rule of engagement are a must. 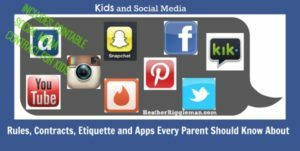 So today’s post is a plethora of social media tips, rules, contracts, and apps every parent should know about. The internet is becoming a part of everything we do, in fact my freshman was just assigned her own Chromebook for high school. She can access assignments, grades, textbooks, and has the web at her fingertips to search. Not only does she have a Chromebook, she an Iphone and tablet. To ensure she is safe on the internet, here are the following things we’ve done for social media and apps. 1. Set up their accounts. Assist or be there when your child sets up his or her account, whether it’s Facebook, Pandora, or Twitter. 2. Set the privacy settings. Most accounts offer parental or privacy settings, take the time to set the settings yourself. – Who can see my stuff? – Who can contact me? 3. Monitor who your child friends or adds to any of their accounts. Check their accounts frequently and monitor who they’ve friended. Be sure to review private messages as well. 4. Require access. Require access to all electronics, all apps, all text messages, and all passwords. Remind them you can and will check their messages at a second’s notice. And when you do come across something questionable–ask questions, discuss your concerns. 5. Require a code of conduct. Once something is published to the internet or sent in a message–it’s out there forever. Discuss common sense media with your kids, break it down in a way they would understand. If you aren’t sure of the repercussions posting things to social media, visit: Common Sense Media. This site has worksheets and tips for both educators and parents. It is also broken down according to the age of your child. Require your children to follow a code of conduct which includes not engaging in social media bullying, leaving mean comments, and require your child to tell you if he or she is being bullied online. 4. Disable location and geotag settings. A geotag is an electronic tag that assigns a geographical location to a photograph or video, a posting on a social media website, etc. In order to protect your child from predators, it’s important to turn this setting off or deny permission. Below are the following steps to turn of location or geotags for a smartphone. You can read an article by GCN which lists the steps for Android, Blackberry and Iphone devices. Click here for that article: How to turn off Geotag feature. To learn more about privacy settings visit About Technology and bookmark their posts. As with any fun activity or privilege, there are rules and a code of conduct. The internet, Iphone, and all electronic devices are no different. Our home includes docking all electronics in our office after 7:00 pm and NO devices at the dinner table. We also created a contract for our children to sign and hang on their bedroom wall as a reminder of how to safely and responsibly engage online. 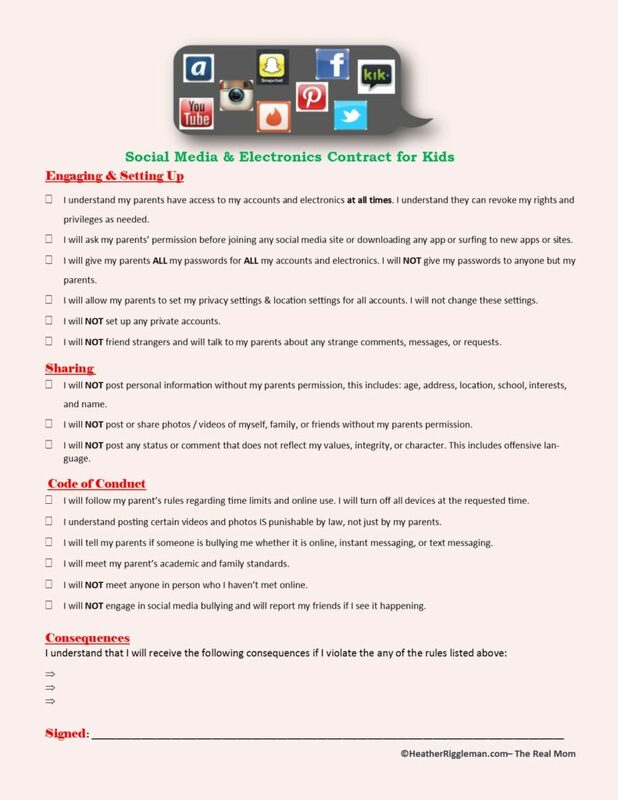 You can download your free printable contract here: Social Media Contract for Kids. I understand my parents have access to my accounts and electronics at all times. I understand they can revoke my rights and privileges as needed. I will ask my parents’ permission before joining any social media site or downloading any app or surfing to new apps or sites. I will give my parents ALL my passwords for ALL my accounts and electronics. I will NOT give my passwords to anyone but my parents. I will allow my parents to set my privacy settings & location settings for all accounts. I will not change these settings. I will NOT set up any private accounts. I will NOT friend strangers and will talk to my parents about any strange comments, messages, or requests. I will NOT post personal information without my parents permission, this includes: age, address, location, school, interests, and name. I will NOT post or share photos / videos of myself, family, or friends without my parents permission. I will NOT post any status or comment that does not reflect my values, integrity, or character. This includes offensive language. I will follow my parent’s rules regarding time limits and online use. I will turn off all devices at the requested time. I understand posting certain videos and photos IS punishable by law, not just by my parents. I will tell my parents if someone is bullying me whether it is online, instant messaging, or text messaging. I will meet my parent’s academic and family standards. I will NOT meet anyone in person who I haven’t met online. I will NOT engage in social media bullying and will report my friends if I see it happening. Again, for a printable contract for your child(ren), click here: Social Media Contract for Kids. Now that we’ve gone over safety and rules of engagement, there are sites to be aware of. Even though you think your child is downloading apps simply to chat with friends, that isn’t always the case. Below are a list of Apps to either delete or monitor because these Apps put your child at risk to be victims of cyber bulling, sexual predators, or sexting. Not all Apps are bad, some have great benefits when used under parental supervision, like SNAPCHAT. It can be used to talk to friends or relatives in a different state, however it still has major drawbacks. The key with any App or internet surfing is to openly talk to your child about the internet. The name of each App is linked so you can visit the app and find out more information. This walkie-talkie PTT (push-to-talk) app allows users to quickly exchange short voice messages. They can have chats going on with multiple people at a time and just have to tap the play button to hear any messages they receive. Although it largely has an adult following, including some people who use it for their job, it’s becoming popular among teens who enjoy its hybrid style of texting and talking. Hurtful messages from cyberbullies can be even more biting when they’re spoken and can be played repeatedly. Vine is Twitter’s mobile app that allows users to shoot and share short loops of video (6 seconds or less). It’s rated 17+, but children and teens are still downloading it. A flirting app used to meet new people through GPS location services. Users can send messages, photos, and videos, and rate the hotness of other users. Because no authentication is required, it makes it easy for sexual predators can contact minors on Blendr and minors can meet up with adults. And again, there is the risk of sexting. This app, which used to be called Bang with Friends, is connected to Facebook. Users can categorize their Facebook friends in one of two ways: They can indicate whether or not a friend is someone they’d like to hang with or someone they are “down” to hook-up with. It has a classification system which can make your child feel unwanted and also creates a peer “hook up” group. This app allows a user to send photos and videos to anyone on his/her friend list. The sender can determine how long the receiver can view the image and then the image “destructs” after the allotted time. While this APP is fun to communicate in videos and photos, it is the number ONE app used for SEXTING. The founders and SNAPCHAT created the app as a way for women to send naked videos and photos of themselves and have been known to call women “Betches.” The app makes users think these photos and videos disappear forever however they can be easily be recovered and screen shots can be taken to further exploit the video or photo. An instant messaging app with over 100 million users, Kik Messenger allows users to exchange videos, pics, and sketches. Users can also send YouTube videos and create memes and digital gifs. The term SEXT BUDDY is now replacing Kik Buddy. Kik does not offer parental controls and makes it easy for sexual predators to locate your child. Whisper is an anonymous confession app that allows users to superimpose text over a picture in order to share their thoughts and feelings anonymously. Although posts are anonymous, the app displays the area you are posting from. You can also search for users posting within a mile from you. Whisper uses GPS and shows your child’s location and how close he or she is from another user. Kids are using this app to cyber bully via posting pictures and derogatory remarks on top of sexual predators are able to use the app to locate your child while remaining anonymous. This app is primarily used for video chatting. With Omegle, users do not have to identify themselves through the service. Instead, chat participants are only identified as “You” and “Stranger.” However, users can connect Omegle to their Facebook accounts to find chat partners with similar interests. When choosing this feature, an Omegle Facebook App receives the user’s Facebook “likes” and try to match the user with a stranger with similar likes. This App comes with major risks as child sexual predators use it to collect information and look for victims. Ask.fm is one of the most popular social networking sites that is used almost exclusively by kids. It is a Q&A site that allows users to ask other users questions while remaining anonymous. An app that allows users to post text-only “Yaks” of up to 200 characters. The messages can be viewed by the 500 Yakkers who are closest to the person who wrote the Yak, as determined by GPS tracking. YIK YAK is primarily used for sexually explicit photos. Users are exposed to and contributing sexually explicit content, derogatory language, and personal attacks. Although the posts are anonymous, kids often start revealing personal information as they get more comfortable with other users. 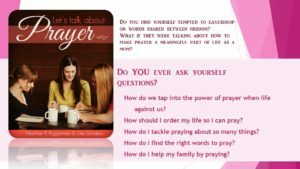 Let’s Talk About Prayer E-Book Release! It’s here! It’s here! Click here: Let’s Talk About Prayer/Amazon if you would like to download it for 99 cents on Amazon or scroll down to receive it for FREE!!! Motherhood has a way of bringing us to our knees. A shared passion for prayer brought two moms from different decades and backgrounds together to talk about making prayer work in the trenches of family life. Your prayer life might be barely breathing, just getting started or thirsting for more, but you’re welcome to bring your cup to the table and join us. 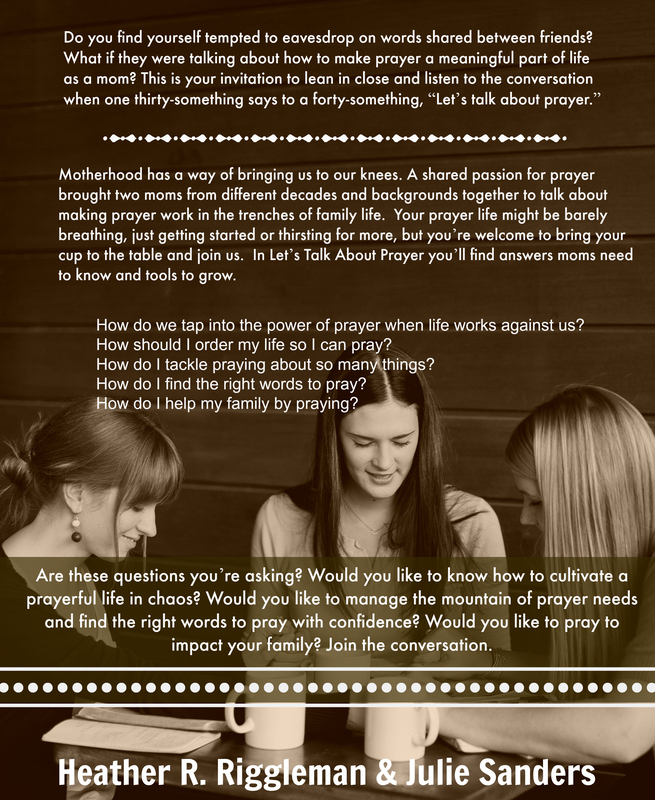 In Let’s Talk About Prayer you’ll find answers moms need to know and tools to grow. How do we tap into the power of prayer when life works against us? How should I order my life so I can pray? How do I tackle praying about so many things? How do I find the right words to pray? How do I help my family by praying? Are these questions you’re asking? Would you like to know how to cultivate a prayerful life in chaos? Would you like to manage the mountain of prayer needs and find the right words to pray with confidence? Would you like to pray to impact your family? Join the conversation. Together, author’s Heather R. Riggleman and Julie Sanders knows that today’s Christian moms want to be the prayer mom’s God intended. They desire to pray confidently and stand in the gap for their kids. But many mothers haven’t been equipped with the prayer skills, scriptural knowledge, and practical strategies to pray when life gets overwhelming. In this book, Heather and Julie teach you how to pray, whether you have always prayed, have been a prayer slacker–this short e-book is the perfect resource you need! Sign up here for the 7 Day Prayer Challenge, designed to equip, encourage, and ignite your prayer life starting soon! Continue below to get a FREE copy of Heather’s new book!!! Now that you’re ready and equipped to pray over your home, children, and husband; here are some great tools to help you. All are printable and free! 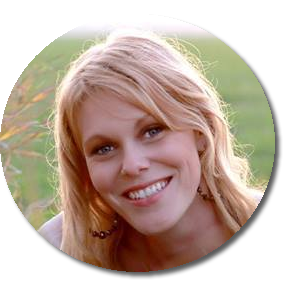 Don’t forget to visit Julie’s site for other resources! 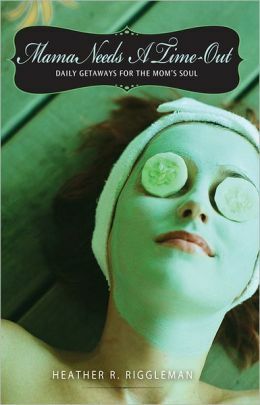 Visit Comehavepeace.org and be on the look out for her book Expectant coming this fall! The ADHD Bills of Rights – And encouragement for every parent of an ADHD kid. I knew this summer would be hard–but I honestly didn’t realize how hard it would be. Can I be honest for a minute? I have been lonely, angry, and guilt ridden. I know it’s summer, I know we are all busy, but what made issues for me more intense was realizing I had no one who understood what I was going through, maybe they didn’t want to? Who knows. But when you’re a mom of a child with ADHD and processing disorders, it’s a new ball game. The rules of cause and affect don’t apply. Discipline is different, behaviors are gauged differently. And here’s the thing, this summer we opted to try a non-stimulant for my son. We were concerned about some of the side affects and thought the summer months would be a perfect time to try other medications. These last four weeks, we waited for the medication to build up in his system. Every morning, I was in tears because he had already committed a dubious crime on his sisters or something worse. I cried and pulled out my hair after yelling at my son for running away with his little sister. When I asked why, he couldn’t tell me. I felt guilty when my husband disciplined our son. It was supposed to be a fun family outing as we opted to walk to our favorite restaurant. When my husband and I both told all of our kids to stay away from the road and walk on by the grass edge of the sidewalk, my son impulsively jumped out into the busy road—during rush hour. Barely two seconds before a white car hit our son, my husband scooped him up and tossed him into the grass before angrily asking why he did that. Our son had no reply. This has been my summer. Keeping my son alive and parenting his behaviors–waiting for the medication to build up in his system while I focused on diet and other avenues. Frustrated, second guessing myself, feeling guilty and alone. You shouldn’t medicate your child, you should embrace him and help him cope naturally. I don’t medicate my child, I use essential oils and they’ve reacted so well. I think ADHD has been over diagnosed. I’ve found most moms who have ADHD kids can’t handle how rough and loud their kids are. I don’t think they know how to parent. I want to take a second and say ADHD has been over diagnosed, and if you use other methods to help your child–I am so thankful they work for you. I also want to say that parents who have children with ADHD don’t need another recommendation–like me, they need support and understanding. Listen, motherhood is hard enough. We are bombarded with countless choices we make for our children and ourselves. Breast or bottle? Cosleep or crib? Work or stay home? Private or public education? Spank or not? We make a million different choices for our children–only to second guess ourselves because another mom does it differently. If my choices are different than yours, please don’t tell me I’m doing it wrong. Like you, I spend enough hours laying awake at night second guessing myself, fighting the guilt and wondering if my choice to medicate is truly needed or if it’s because I can’t mother him any better. You should know, kids who truly have ADHD like your son–the only thing that works for them is stimulants combined with understanding and a highly structured environment. Weary and tired, I left with another prescription to add to my son’s medication routine as well as a new understanding for his impulsiveness. While they might not have answers for the things they do, The ADHD Bill of Rights helps you and I as moms get inside their heads. 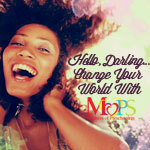 It rids us of some of the mom guilt we carry and provides a little insight. The next time you feel alone or you wonder why your ADHD kid acted out, please know you are NOT alone and review the “Rights” listed below as you take a deep breath before you dive back in. And if you have a friend who is struggling with her ADHD child, read this and then pass it on to her. And if you know a mom who mother’s differently–don’t judge, instead embrace her and ask how she is doing. Don’t miss out on Heather’s blog posts, to sign up, add your email in the space below!! 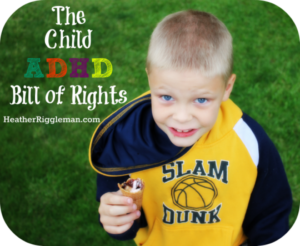 For your own print out of The Child’s ADHD Bill of Rights, click here: ADHD Bill of Rights. Hang it in your child’s room, on your fridge, in your classroom or give it to your child’s teacher. Please give me a structured environment where there is a dependable routine. Give me an advanced warning if there will be changes. Please allow me to go at my own pace. If I rush, I get confused and upset. Please offer me options for problem-solving. I need to know the detours when the road is blocked. Please give me rich and immediate feedback on how I’m doing. say back what I think you said. Am I almost done now? Please give me short work periods with short-term goals. Tell me again in different words. Give me a signal. Draw me a symbol. Please give me praise for partial success. Reward me for self-improvement, not just for perfection. Please catch me doing something right and praise me for my specific positive behavior. Remind me (and yourself) about my good points, when I’m having a bad day. (Reprinted from Newsletter of The Delaware Association For The Education of Young Children, Winter 1993-94) © 1991, Ruth Harris, Northwest Reading Clinic.